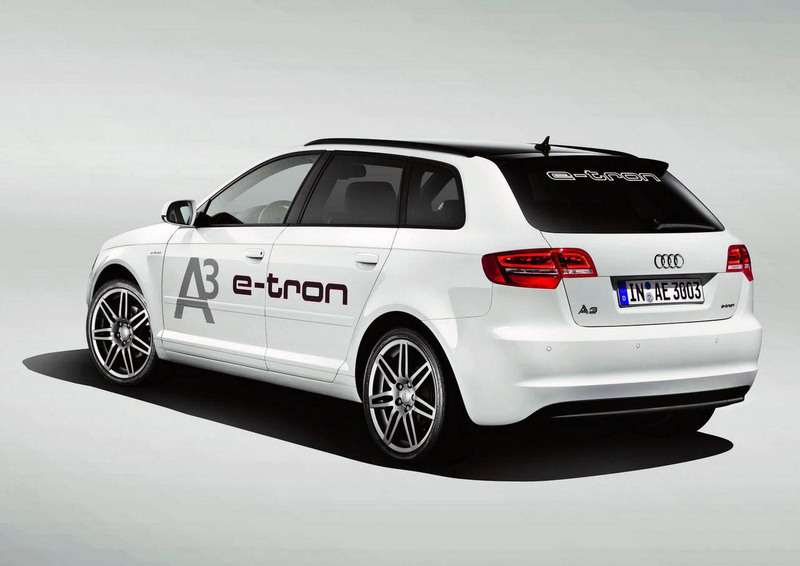 Audi has continued its e-tron concept lineup with the unveiling of the A3 e-tron. On the design front, the car is virtually identical to the standard model. 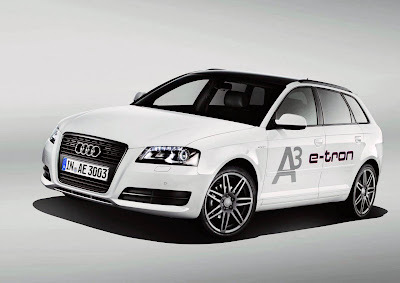 Despite this, the A3 e-tron is distinguished by a revised instrument cluster, leather / Alcantara seats, a heated windshield and an optimized air conditioning system. 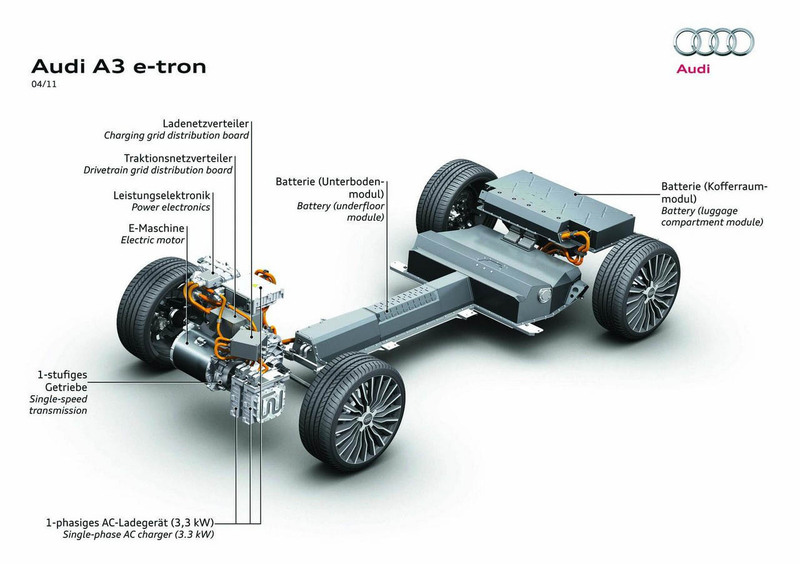 Motivation is provided by a 26.5 kWh lithium-ion battery which sends power to an electric motor with a peak output of 100 kW (134 hp) and 270 Nm (199 lb-ft) of torque. Thanks to this setup, the concept can accelerate from 0-100 km/h in 11.2 seconds, hit a limited top speed of 145 km/h (90 mph), and travel approximately 140 km (87 miles) on a single charge. When the battery is depleted, it can be recharged in about nine hours with a 230V household outlet or four hours with a 400V rapid charger.